The health club at The Dylan provides an opportunity to work out in the comfort of your own home. 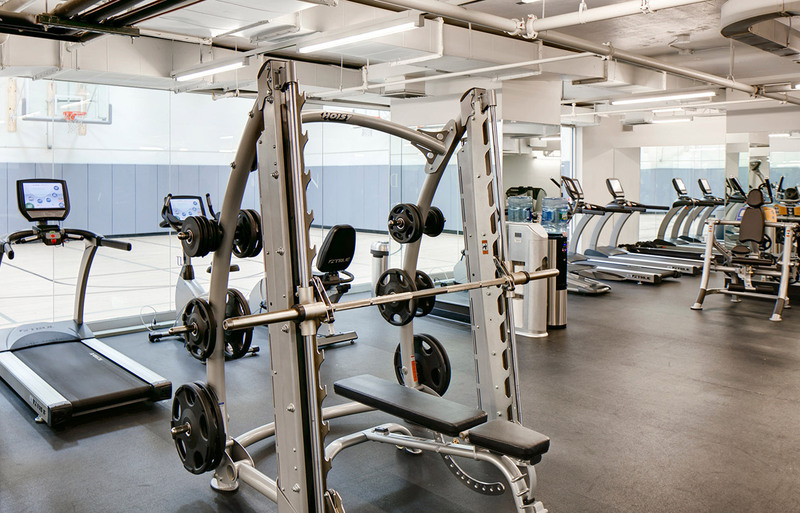 Whether it’s your day to lift weights or do cardio, The Dylan’s health club provides a complete workout environment. Or play a pickup game at The Dylan’s basketball court and keep the New York hoops tradition alive. The choice is yours. On-site storage lockers are available for seasonal wardrobe changes, skis, photo albums or anything else you’d like to have at your fingertips. Bike storage is also available. 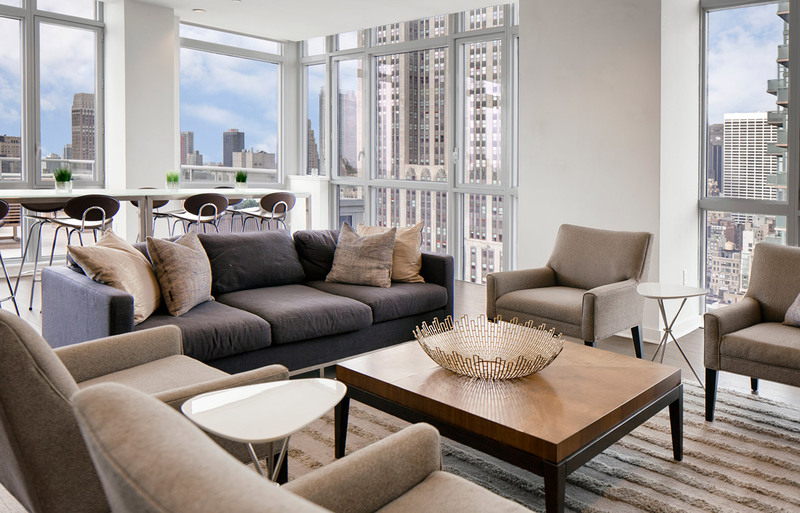 The rooftop lounge is your extra space all year long. It’s a place to go with friends for a poker game or to shoot the breeze. Meet up with your neighbors or just enjoy the evening alone. It’s yours, it’s inviting and it’s there for your enjoyment. Health Club – Work out steps away from the comfort of your own home. Private Indoor Basketball Court – Stay active with friends, while keeping the New York hoops tradition alive. 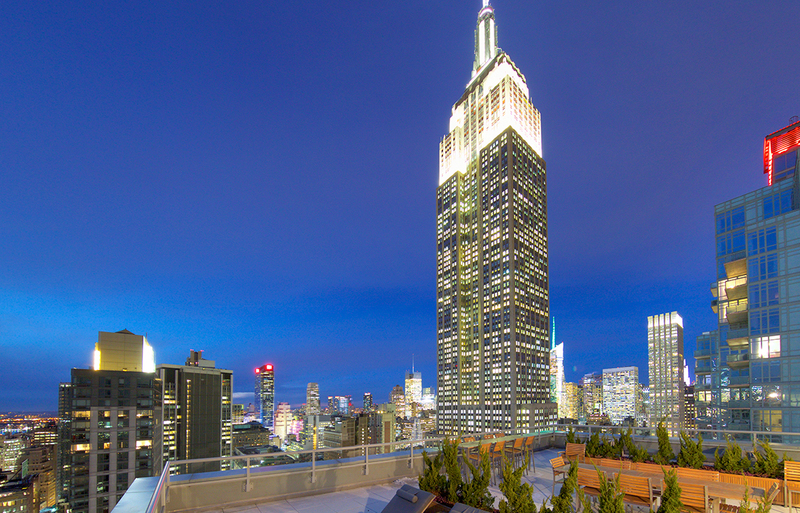 Sky Deck – Sunbathe by day, barbecue and dine by night, all under the canopy of the Empire State Building. 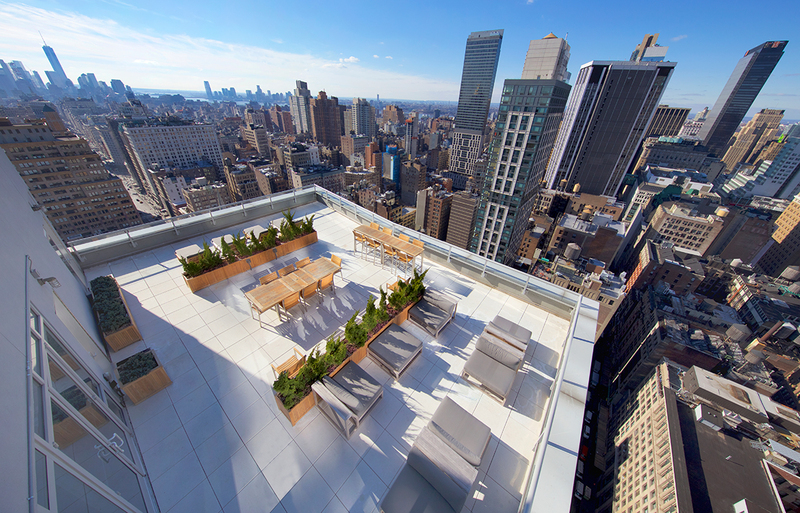 Rooftop Lounge – Your extra space all year long. Hang with friends, meet neighbors or relax solo. On-Site Storage Lockers and Bike Storage – There’s space for all of your prized possessions. Furry friends are more than welcome, especially at our yappy-hour events. A smoke-free community, for a breath of fresh air. Wi-Fi high-speed Internet access available in common areas.